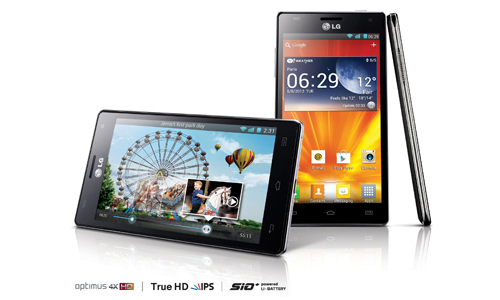 Back in the mobile world congress in February this year, LG announced that it’s first Quad-core smartphone Optimus 4x HD is available for purchase in Europe. The company announced earlier that German customers will be the first to experience the power of Optimus 4X HD, followed by the Netherlands, Sweden, United Kingdom and Italy. The company said that new smartphone a good future, includes the Nvidia Tegra 3 processor clocked at 1.5GHz, a 4.7-inch 1280 X 720 IPS display, and an 8.9mm-thin body. Equipped with Android 4.0, 1GB of RAM and 16GB of internal storage memory, the Tegra 3 processor and consists of 8-megapixel camera in back and 1.3-megapixel camera in front – adding to this DLNA and MHL are also on board.